The Rhodolite Garnet material to come out of Tanzania recently has been amazing. Rhodolite is a chemical hybrid of Pyrope and Almandine Garnets. 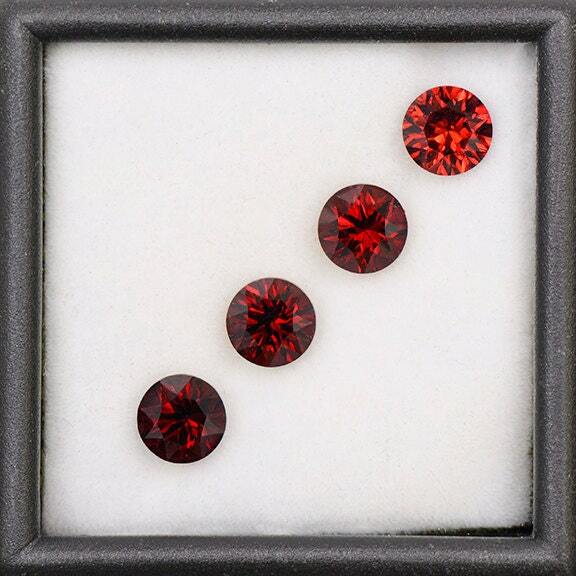 This set displays a beautiful, deep, saturated crimson red to a deep red/orange color that is slightly graded from one stone to the next. 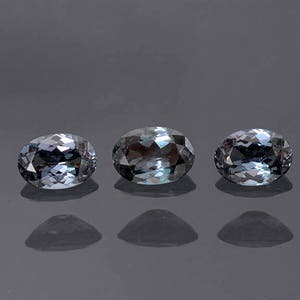 They have been concave cut to produce stunning “needle-like” brilliance inside of the gems. These stones could be combined into a stunning pendant, ring and earring set. 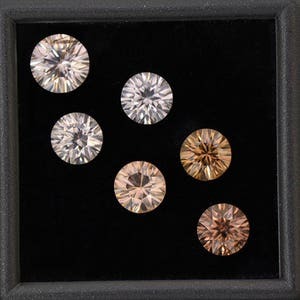 In the sunlight, these stones just glitter with that needle flash which is mesmerizing! Enjoy! 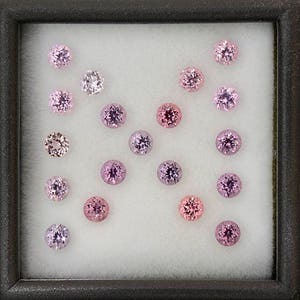 Gorgeous Pink and Rose Spinel Gemstone Set 3 mm Rounds 2.66 tcw. Exquisite Silvery Zircon Gemstone Set from Australia 9.28 tcw. 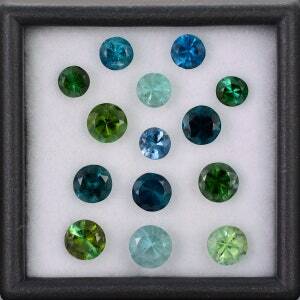 Superb Color Change Garnet Gemstone Set with Blue! 2.30 tcw.